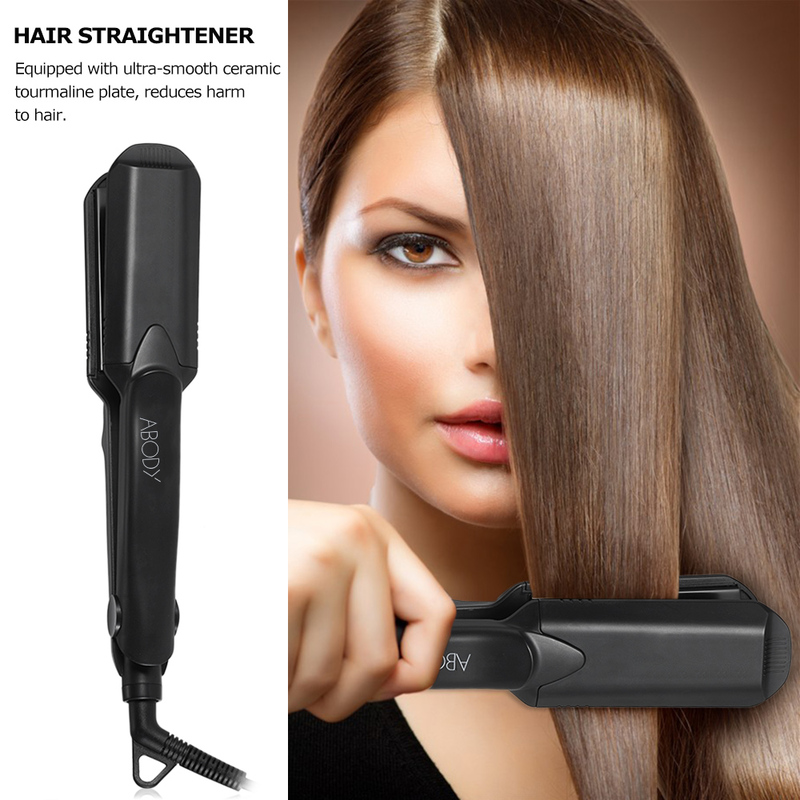 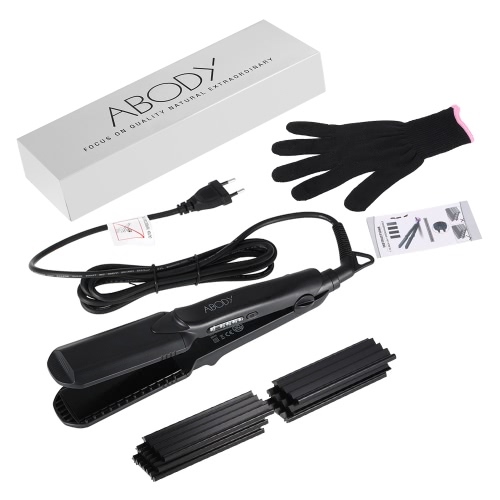 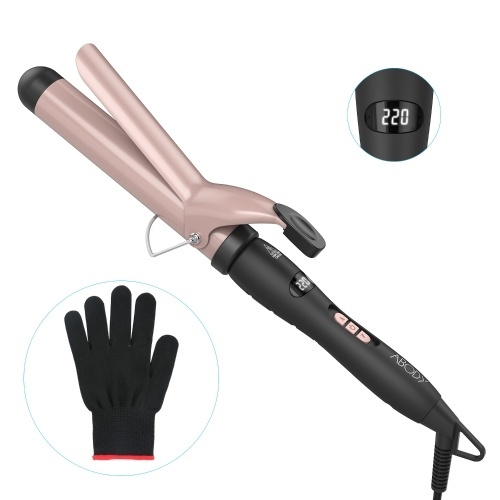 This professional salon grade new hair straightener is a great hair tool for all hair lengths and creat glossy hair styles, suitable for professional salon use or daily home DIY use. 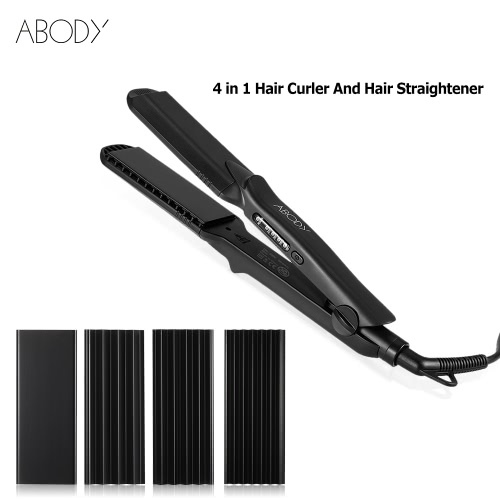 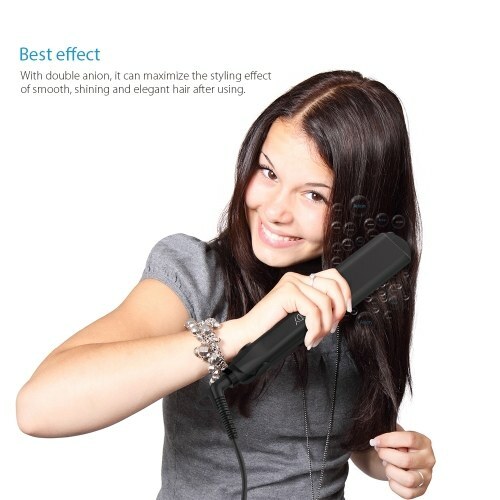 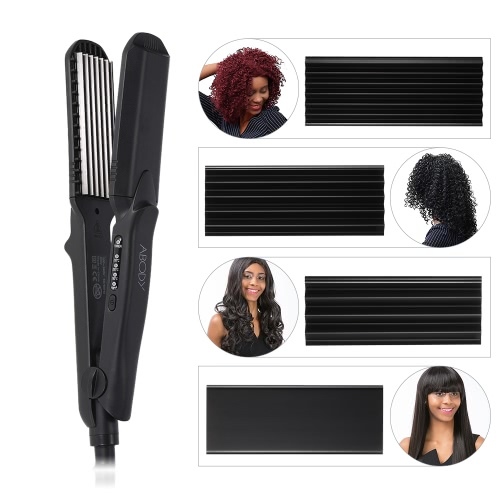 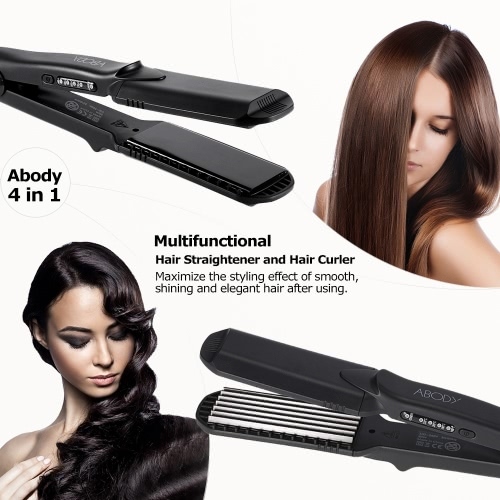 4 in 1 function, not only for straightening hair, but also for curly hair. 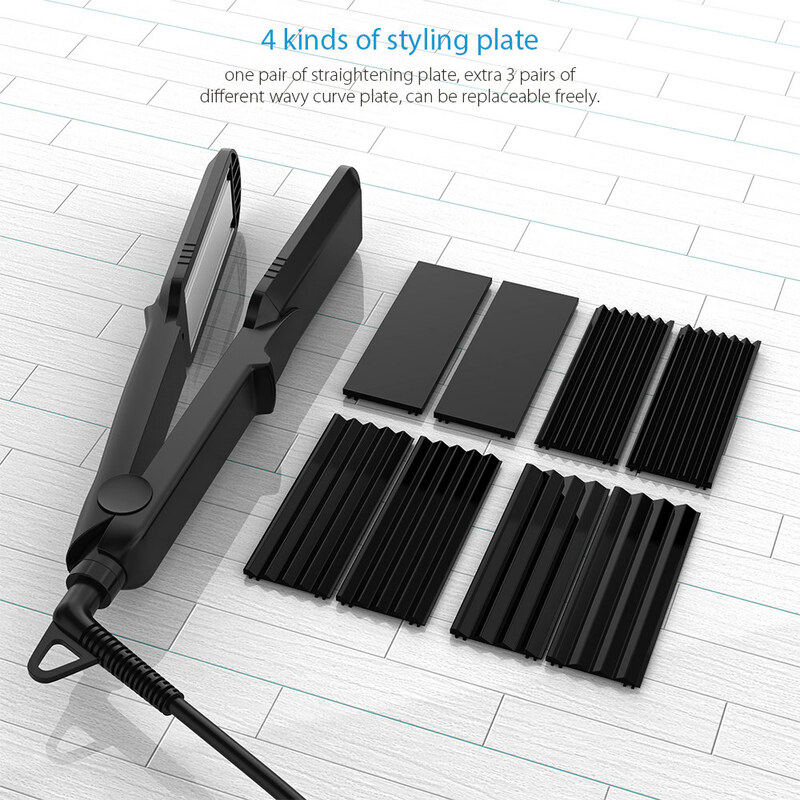 Easy to operate and carry, lightweight. 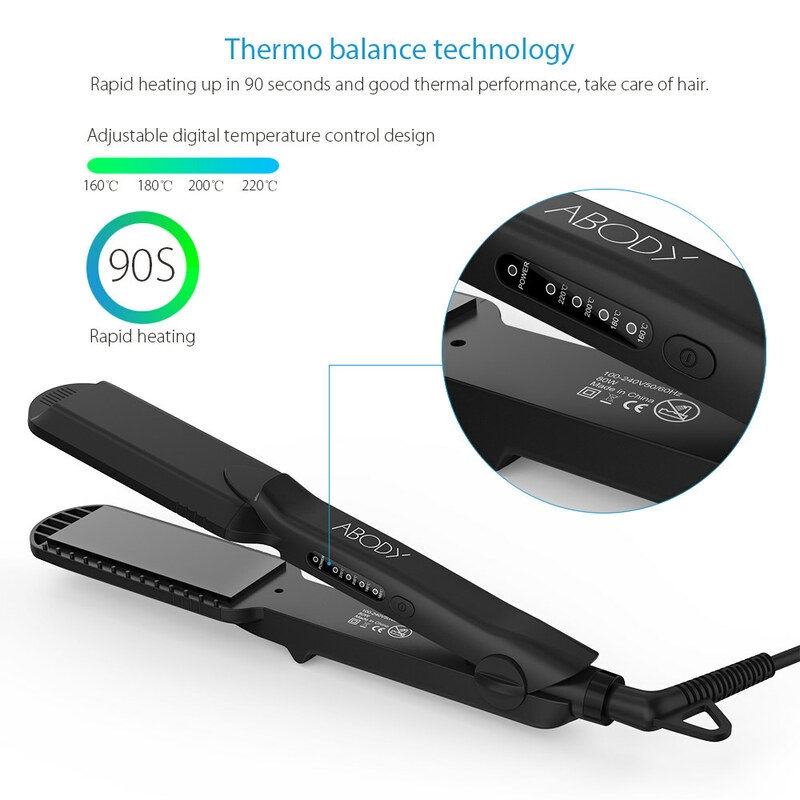 Thermo balance technology: Rapid heating up in 90 seconds and good thermal performance, take care of hair. 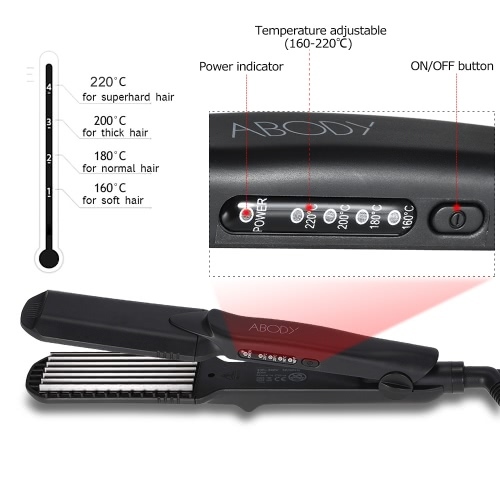 Adjustable digital temperature control design(160-220℃). 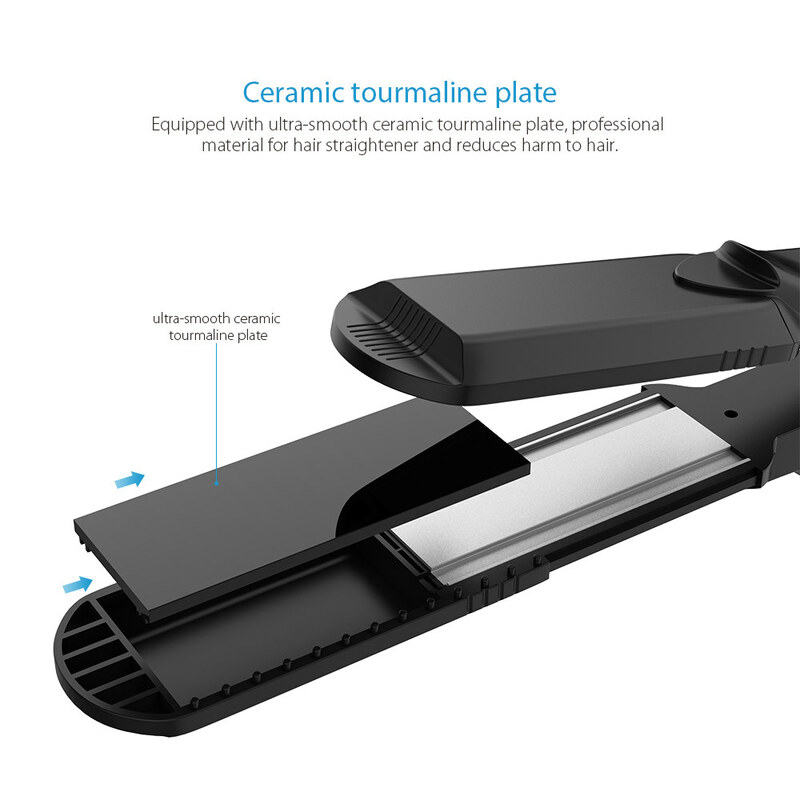 Ceramic tourmaline plate: Equipped with ultra-smooth ceramic tourmaline plate, professional material for hair straightener and reduces harm to hair. 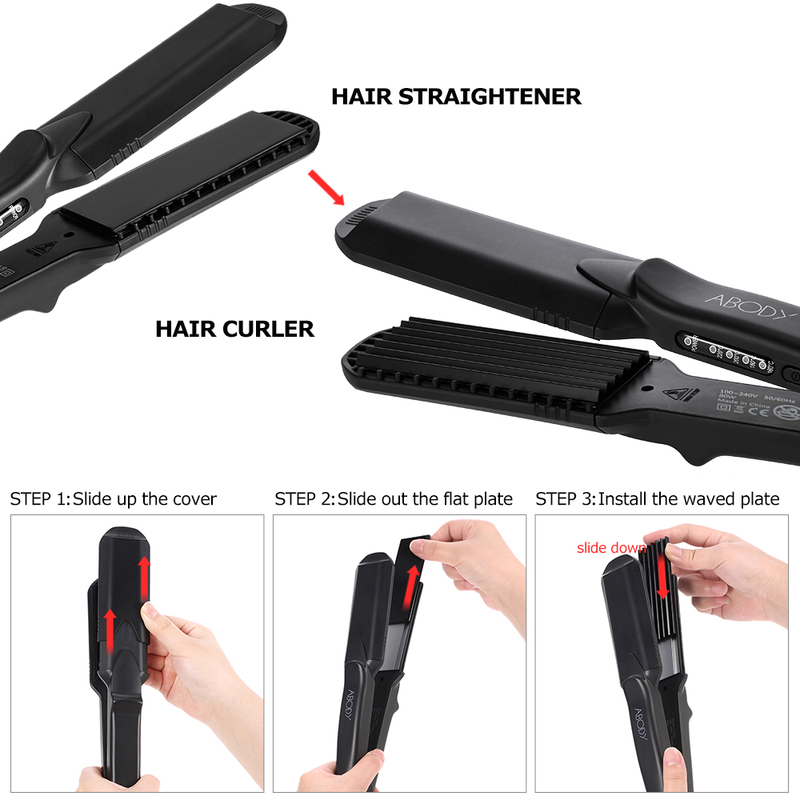 4 kinds of styling plate: one pair of straightening plate, extra 3 pairs of different wavy curve plate, can be replaceable freely. 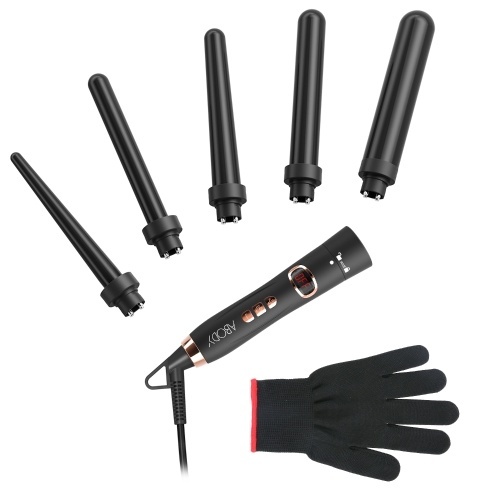 Anti static design: Adopts anti static ceramic design, which ensure the surface smooth and constant temperature. Best effect: With double anion, it can maximize the styling effect of smooth, shining and elegant hair after using. 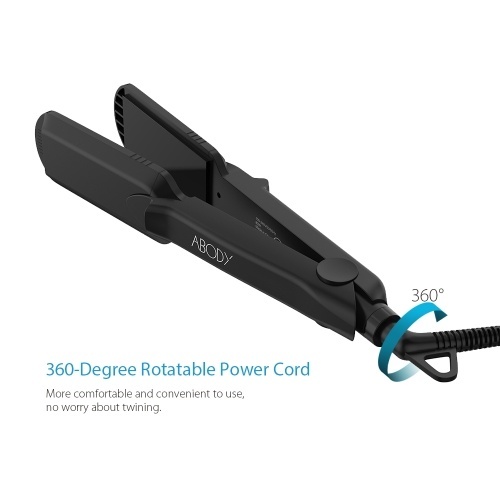 Always unplug the appliance immediately after use. Keep away from water or humid areas. 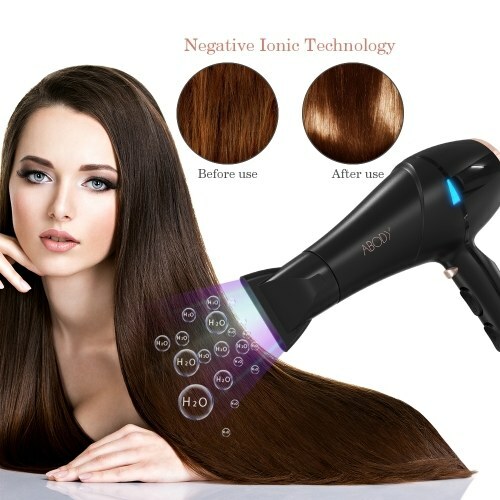 Do not use while bathing. Once the styling finished, please unplug the hair straightener, and leave it cool down completely and then store it. Copyright © 2017 abody Inc. All rights reserved.